It’s all about the transmission lines. Seems to me to be a supply and demand problem, with the supply of transmission not keeping up with the demand of energy production. Texas’ population continues to grow, and the grid is increasingly dependent on wind and solar power to meet usage peaks, so it would be very shortsighted not to keep investing in more transmission capacity. This ought to be a no-brainer. Sorry, but low electricity prices, especially when they are aided by record amounts of wind power generation, are good news. Texas’ national lead in cheap wind power, combined with near historically low natural gas prices, mild weather, an abundant power supply and slower growth in electricity demand, can work to the detriment of power companies. The combination weighed down wholesale power prices last year to their lowest averages since 2002. And the effects are only becoming more dramatic in 2016, even creating bizarre instances when, in the abstract at least, providers are paying to put electricity on the market. Texas’ wholesale power prices averaged $26.77 per megawatt-hour last year, down nearly 35 percent from $40.64 per megawatt-hour in 2014. The cost was more than $70 as recently as 2008. Already, less than a quarter of Texas’ coal fleet is operating early this spring, as more generators simply take their coal plants offline until the summer heat brings more demand, analysts from Tudor, Pickering, Holt & Co. noted. In March, wind added to the grid more than coal power for the first time ever for a full month. Wind contributed 21.4 percent of the grid’s overall power, compared with 12.9 percent from coal, which used to be the dominant source of the state’s electricity generation, according to the Electric Reliability Council of Texas, which manages about 90 percent of the state’s electricity load. 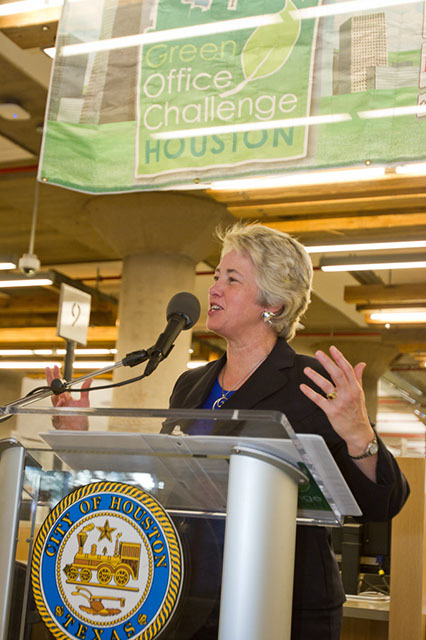 “Ultimately, something is going to have to give here,” said Thad Hill, president and CEO of Calpine Corp., the largest power generator in the Houston region and owner of the nation’s largest fleet of natural gas-fired power plants. Texas is home to nearly 20 coal-fired power plants and the near future of at least six of them are considered at risk. They will require expensive upgrades to meet federal standards, according to a recent ERCOT analysis, and the costs could outweigh the benefits of keeping them open. That’s not even counting the effects of the federal Clean Power Plan, which is pending in court. “Ultimately, we think the market could be a lot tighter than people think, particularly if people start mothballing or retiring units,” said Hill, whose Calpine would stand to benefit because it doesn’t own any coal plants. At-risk plants include Luminant’s Big Brown, Monticello and Martin Lake coal plants in East Texas, half of Luminant’s Sandow plant east of Austin, NRG Energy’s Limestone plant east of Waco, and Engie’s Coleto Creek plant near Victoria that’s being bought by Dynegy. It’s fine by me if those coal plants go the way of the dodo. It’s long overdue, and their demise will make meeting the Clean Power Plan benchmarks even easier. More investment in solar energy will help mitigate the low-wind periods and ensure demand can be met in the summertime. What’s not to like? Located about 30 miles north of the Texas capital in a deeply conservative county, the city of Georgetown will be powered 100 percent by renewable energy within the next couple years. Georgetown’s residents and elected officials made the decision to invest in two large renewable energy projects, one solar and one wind, not because they reduced greenhouse gas emissions or sent a message about the viability of renewable energy — but because it just made sense, according to Mayor Dale Ross. Ross said that a lot of “folks don’t really care what kind of electrons are flowing down the transmission lines,” they just don’t want to pay more for power. Once he explains the new setup to residents, even the most skeptical and politically conservative, they tend to come around. Ross, who is a Certified Public Accountant by trade, took this idea one step further. “And if you are really looking into that — in the tax code which industry gets the most deductions and credits of any industry out there? That would be fossil fuels. Renewable energy credits are minuscule compared to fossil fuels,” said Ross, who was elected as a Republican mayor earlier this year. While the cost of both wind and solar power are trending downwards quickly, Georgetown was able to get such a good deal in part due to timing. According to Chris Foster, Georgetown’s Resource Planning & Integration manager and the one responsible for working through all the logistics of the city’s energy needs, wind prices were particularly low at the time the city locked in the 144-megawatt, 20-year deal with EDF Renewables in early 2014. Foster said that in late 2013 wind energy bidders were worried that tax breaks wouldn’t be renewed, and because of this they offered extremely cheap rates in exchange for a long-term contract. Foster was not allowed to disclose the exact rate. The wind power Georgetown is getting from EDF’s farm is just a small push in the much larger rush of wind power taking place across Texas. Around 2,200 megawatts, enough to bring power to some 400,000 homes, are expected to come online in the state before 2017. 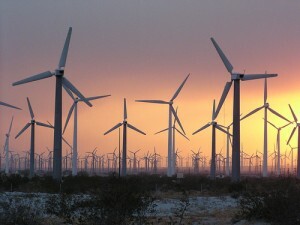 According to the American Wind Energy Association, Texas leads the country in both under-construction wind capacity and installed wind capacity, of which it has over 14,000 megawatts. Even though wind power has brought some 17,000 jobs and $26 billion in capital investment to the state, lawmakers came remarkably close to repealing key renewable energy policies in this year’s legislative session, which ended in early June. The Senate passed legislation that would have done away with the state’s renewable portfolio standard, which has already been surpassed anyways, and — more harmfully — frozen the CREZ program that is responsible for the bulk of the new transmission lines. The bill never made it out of the House. Advocates of both programs argue that they have worked, and Georgetown appears to be the model example. Foster, who came to Ross’s office for the interview, said that natural gas prices were competitive but that the providers were only willing to offer five- or six-year contracts. A year or so after signing the wind contract Georgetown went looking for additional long-term power. During this time Foster realized that solar would nicely complement the profile of wind energy, which blows most overnight. While solar power is less developed in Texas, as costs drop the potential is sky high. Texas is ranked first in solar energy potential according to the State Energy Conversation Office but only tenth in installed solar capacity. In 2014, Texas installed 129 megawatts of solar, ranking it 8th for the year nationally. Great to see, and it really does make a lot of sense. They were able to get their rates locked in for a much longer time than they could have with any fossil fuel provider. I suppose they could miss out on some future savings this way, but they will definitely avoid any future price increases, which the traditional providers couldn’t promise they wouldn’t face. I hope other cities explore this kind of option as well. Link via EoW. Google may not seem like an energy company, but it sure is acting like one. Through more than $1 billion in investments and through large contracts for renewable power, Google has become the most significant player in the energy business outside of actual energy companies and financial institutions. The Internet search giant’s efforts to transform the world’s use of power and fossil fuels have included a $200 million investment in a Texas wind farm and the purchase of a company that makes innovative flying wind turbines. It has invested $168 million in a solar project in California and is funding the development of an offshore grid to support wind turbines off the Atlantic coast. In total, it has an ownership stake in more than 2 gigawatts of power generation capacity, the equivalent of Hoover Dam, said Rick Needham, Google’s director of energy and sustainability. Google even has a subsidiary, Google Energy, that’s authorized by the Federal Energy Regulatory Commission to sell wholesale electricity that it generates from its power assets. Analysts say it is the only company other than energy businesses and financial institutions that has taken large ownership stakes in major stand-alone power projects. Read the whole thing – try this FuelFix link if the houstonchronicle.com one is not available to you – it’s quite a story. It’s great to see an innovator and big investor like Google pushing renewable energy for business reasons as well as altruistic ones. I hope a lot of other companies follow their lead. The Trib has another story about desalinization in Texas, and reading it brings up a point that I don’t think gets enough attention. Environmentalists argue that desalination is not a silver bullet because it is energy-intensive and requires disposal of the concentrated salts in a way that avoids contaminating fresh water. Texas should first focus on conservation and the reuse of wastewater, said Amy Hardberger, a water specialist with the Environmental Defense Fund. “What needs to be avoided is the, ‘Oh, we’ll just get more’ mentality,” she said. Separately, a planned power plant near Odessa is studying prices for the technology. John Ragan, the head of Texas operations for NRG Energy, envisions natural gas power plants along the coast that desalinate water overnight when they are not needed for electricity. Residents near the half-full Highland Lakes in Central Texas say that desalination could reduce the water-supply burden on the lakes. Texas Tech University aims to begin wind-powered desalination research later this year, in the West Texas town of Seminole. See here for previous blogging about desalinization. Coal-fired power plants use a lot of water. Natural gas plants use a lot less than coal plants, though they still use a lot. Renewable energy – wind and solar – pretty much don’t need water at all. See this Texas Water Development Board report about power generation and water usage through the year 2060 for more. Desalinization needs to be part of the mix in Texas – we have more than enough brackish water to supply the entire state – but desalinization requires a lot of power, and power generation, at least as we do it today, requires a lot of water. Everybody understands that greenhouse gas and climate change implications of renewable energy versus coal and gas, but the water use implications are as important. The more we invest in renewable energy the better off we’ll be in more ways than we might think. Here’s a long story in the Observer about the state of solar energy in Texas. The piece covers a lot of ground, including this bit about what’s going on in San Antonio. 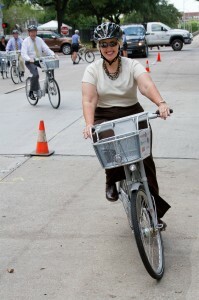 San Antonio has emerged as a city willing to turn talk into action and its abundant sunlight into energy to spark what Mayor Julian Castro—the one who the New York Times Magazine suggested could be America’s first Latino president—calls the “New Energy Economy.” In the era of Solyndra, San Antonio is making a bold, maybe risky bid at deploying solar energy on a scale that could edge the city away from fossil fuels, create jobs and reduce greenhouse gasses, water consumption and air pollution. Castro and the city’s massive utility, CPS Energy, are betting that climate change, depleting fossil fuels and increased drought stress will make early investments in renewable energy and clean technologies a huge payoff in the future. In San Antonio, things have unfolded rapidly. In 2010, CPS Energy pledged to have 20 percent of its generating capacity, about 1,500 megawatts, come from renewables and 65 percent of its portfolio be low-carbon. The utility set a goal of 100 megawatts for solar. That same year, the 14-megawatt Blue Wing, San Antonio’s first utility-scale solar farm, went online. At the time, it was the largest photovoltaic array—a system that converts sunlight directly into electricity—in Texas and the third-largest in the nation. Then in October 2010, CPS contracted with SunEdison, a Maryland-based solar developer, to build and run three more 10-megawatt solar farms around the city. Almost as soon as that deal was in place, the utility rolled out a solicitation for another 50 megawatts, nearly bringing CPS to its 100 megawatt solar goal. But there was a big twist this time: The bidders would have to bring a manufacturing proposal to the table and put down roots in San Antonio. Clean energy alone wasn’t enough; San Antonio wanted to build a clean energy economy. In June 2011, amid a record heat wave and drought, Castro and CPS head Doyle Beneby called together the business, environmental and political community for some big news. 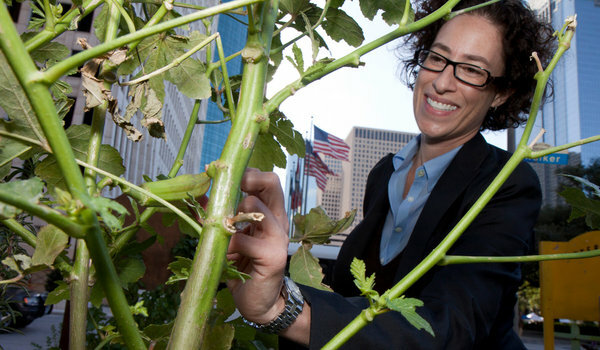 Five clean technology companies were opening offices or relocating to San Antonio, bringing about 230 jobs to the city as well as agreements to pump money and research into the University of Texas at San Antonio’s Sustainable Energy Research Institute. “San Antonio has the opportunity to seize a mantle that no city in the U.S. holds today: to be the recognized leader in clean energy technology,” Castro said in announcing the relocations. But what electrified the solar industry was when CPS Energy, in July, abruptly increased its solicitation for a 50-megawatt solar plant to 400 megawatts, enough to power 80,000 homes. The response to the 50-megawatt proposal was so positive and the offers so low that CPS simply couldn’t pass up the opportunity to do something really big. “The price was just rock-bottom on the delivered power,” said Lanny Sinkin. By the time the bidding closed in July, the utility had received over 30 proposals. But after the deadline, with solar costs dropping practically overnight, new intriguing offers kept rolling in. Tantalized, the CPS board voted unanimously in October to reopen the bidding, this time with stricter requirements. Bidders had to provide a plan not just for building 400 megawatts of photovoltaic solar but also for bringing a manufacturing facility to San Antonio, along with at least 800 jobs and a capital investment of $100 million. See here and here for more, and be sure to read the whole story in the Observer as well. The story briefly mentions rooftop solar panels and some of the ways that they can be financed, but there’s still one option on the table that no one seems to be using yet. Be that as it may, this story came out at the same time as an announcement from Houston about a federal grant to help make solar panel installs more affordable. Not a huge grant – less than $100K – but every little bit helps. More big thinking like they’re doing in San Antonio would help even more. 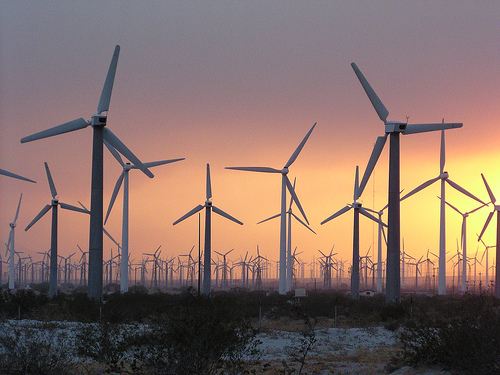 The wind energy business in Texas is going strong. BP and other energy companies are funneling millions of dollars into building and operating wind farms in West Texas, helping to transform the oil country into one of the nation’s leading hubs for green energy production. Skylines dominated by nodding pump jacks increasingly are spotted with spinning turbines. Economies tied to the ebb and flow of commodity prices are finding stability in supplying the power grid. “We’ve been through lots of booms and busts with the oil and gas industry. The oil and gas areas deplete over time,” said Doug May, economic development director for Pecos County. Recent energy analyses predict renewable fuels — including wind, solar and biofuels — will be the world’s fastest-growing energy source in coming decades. BP’s own outlook predicts the country’s renewable energy production will surge 252 percent over the next 20 years. Wind and solar energy are potentially huge boons to West Texas, which is the perfect location in many ways for harvesting both kinds. There’s already a lot of investment out there, and more is to come. There are some obstacles, however. West Texas wind farms are at the end of the state’s main electrical grid, managed by the Electric Reliability Council of Texas, or ERCOT. The Public Utility Commission of Texas has been working on plans to build a more robust network of power lines to bring more wind-generated power to major cities. Meanwhile, the federal tax credit that gives wind power generators 2.2 cents for every kilowatt-hour of energy produced is slated to expire at year’s end unless lawmakers approve a renewal. You’d think giving an energy company a tax break would come as naturally to Congress as breathing, but that renewable energy credit was a casualty of the payroll tax cut deal. It could be revived, and again, it’s hard to imagine a world in which energy executives have to go begging for bones from Congress. 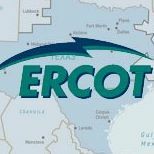 The ERCOT issue has been in the works for four years already. That will be a big deal when it’s done. Wouldn’t it be nice to have solar panels on your roof right now? Some people do. More people should. Despite Houston’s sweltering heat, Grady Hill hasn’t paid an electric bill since 2009. He keeps his thermostat set at a comfortable 78 degrees when he’s home, but a combination of solar panels and an energy-efficient home have helped him make more power than he uses for most of the year. That excess power goes to his electric company, Green Mountain Energy, which gives him credits that he taps during the summer months, when he tends to use more than he generates. He earns credits at the same rate he pays, 12.915 cents per kilowatt hour, for the first 500 kwh he generates. Green Mountain buys the rest for half that rate. 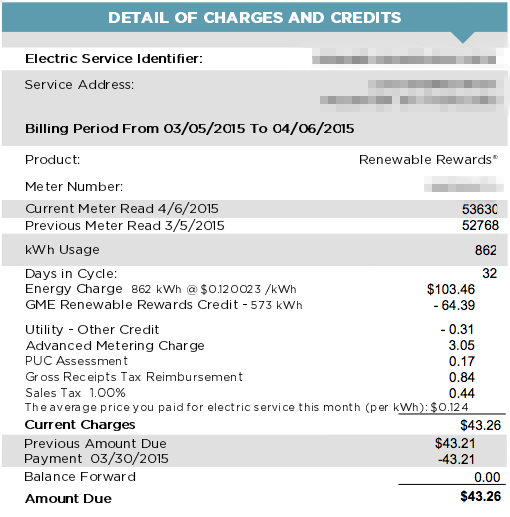 At the end of June, when his 3,200-square-foot home used 522 kwh, he had a credit balance of $288.82. Yes, he wanted to be green, he says, but the savings are the real incentive. When Hill and his wife bought their house for $300,000, it had double-pane windows, three feet of insulation in the attic and energy-efficient appliances. The Hills added a tankless water heater, ceiling fans, solar panels and a few other items for $60,000. The five-kilowatt solar system cost about $22,000 after federal tax rebates, and the Hills also saved because the home was pre-wired for a solar system. The couple moved in during the summer of 2009. The electric bill that July? $40. But because of the high up-front costs, the solar industry has struggled to break into the local homeowner market even though many residents spend hundreds of dollars a month keeping homes cool in the scorching summer. Craig Lobel, president of EcoEdge Consulting, an energy efficiency firm working with Discovery at Spring Trails, said it only makes financial sense to add solar after making less expensive investments. These include efficient appliances and light bulbs and radiant barriers to keep heat out of the attic. New homes in Discovery at Spring Trails come equipped with those energy-efficient features and an electronic monitor that shows residents how much energy they consume and how much they generate if their houses are solar-equipped. 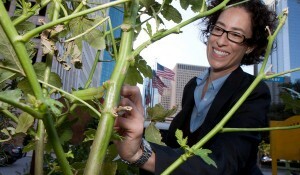 “You have to build the home efficient from the ground up,” Lobel said. “You can’t just put a Band-Aid on an inefficient home. After homeowners monitor their energy use for several months, many choose to add more solar panels to work toward being grid neutral,” Lobel said. Doing other energy-efficiency things makes sense on its own, and can get you a lot of bang for your buck. The thing about solar panels is that there are creative ways for local governments to help amortize the cost for homeowners. With our summers getting hotter and the demands on our power grid setting records, there’s a lot to be said for adding to our solar capacity in any way we can. Wouldn’t you like to have that guy’s electricity bills? Why not put solar panels on school rooftops? As the debate over the Texas GOP’s cuts to public education funding raged, and the summer sun started to heat up, it became apparent that at least one opportunity was being missed. That’s when a question arose, Why don’t we have solar panels on every school building in Texas? With all the sunshine we get in Texas, especially in the summer, it would stand to reason that all of that sunshine could be harnessed and used to heat, cool, and light the many school buildings across Texas. Likely saving large school districts like Austin and Round Rock millions each year. An opportunity that wasn’t even discussed by the legislature. He lays out the case for doing this, which you should read. I agree that would make an excellent long-term investment, the sort of thing where spending some money now would save a lot more over time. The capital costs are high enough, and the returns gradual enough, that you’d want to do something else in the short term while getting this done. Fortunately, there’s a pretty simple solution there, one that would get you a decent bang for your buck, and that’s painting the roofs white. Each district could hire a bunch of its high schoolers to do this for a fairly moderate cost. Of course, either of these ideas would require a Legislature that cared about solving problems and not simply slashing expenditures willy-nilly. Sadly, that’s not the kind of Legislature we had. Bills relating to solar energy are moving forward through the Lege. Texas is the top-producing state for wind-generated electricity just 12 years after a legislative deal jump-started the industry. The Legislature is now debating whether Texas should provide a similar subsidy for other renewable energy sources that, according to proponents, would kick-start solar, geothermal and biomass as job-producing industries. The goals also would be to diversify the state’s renewable energy base and help the environment. Austin lawmakers Sen. Kirk Watson and Rep. Mark Strama , both Democrats, are carrying legislation to do just that. But some manufacturers and electric companies oppose the efforts as either too costly or anti-market. One bill would encourage utilities statewide to purchase up to 1,500 megawatts of power from non-wind, renewable sources between now and 2021, about 2 percent of the state’s electricity usage. A second bill would make it clear that state law already mandates 500 megawatts be purchased from renewable sources other than wind. Bill Peacock with the Texas Public Policy Foundation , a conservative think tank, agreed that wind lowered electricity prices but he said that was only because wind receives federal tax credits. It’s not like more traditional forms of energy don’t get tax breaks of their own. One could easily argue that giving a break to solar is just leveling the playing field a bit. Anyway, Here’s SB330 HB774. In addition to those bills, measures to make it easier to put solar panels on your own home moved along as well. The [Senate] Intergovernmental Relations committee voted on an amended bill that would allow HOAs to prohibit a panel if it sticks off the roof, looms above a fence or turns into an eyesore. The bill was placed on the fast track to passage. It follows a handful of others, including ones that give homeowners greater voting rights in their associations and help ensure military families don’t lose their homes to HOA foreclosure. The bill in question is SB 238 and its House companion is HB 362. A lot of similarly solar-themed legislation progressed through the Lege last session but died in the chubfest at the end. I don’t know what will happen with these bills, but I’m pretty sure that fate will not be repeated. The Texas Green Report has more. They keep writing them, I’ll keep blogging about them. Dallas renewable energy investor Panda Power Funds is developing one of the country’s largest solar power plants in sunny New Jersey. Not Texas. And Texas’ second-largest power generator, NRG Energy, is investing in the world’s largest solar thermal power plant in California. Not Texas. “It’s really a shame in Texas. We’ve got good sunlight. It’s really a shame that we don’t have a more aggressive solar program,” said Panda’s managing director of development, Ralph Killian. But NRG couldn’t risk having the contract dropped one year, without enough revenue to pay for the equipment. I’d blogged about this before, but the last word I had was that the talks had hit a snag, not that they’d completely fallen apart. Bummer. I totally understand the city’s position on this, but it sure seems like there ought to be a way around that. Maybe one way the Lege could act would be to provide some kind of insurance for clean energy developers that want to engage in this kind of long term deal with cities. I’m just thinking out loud here, I don’t know what that might look like, and besides it’s surely a non-starter in this slash and burn session to come. I’m just saying that there ought to be a way for cities to do this sort of thing, and that if there is it will need to come from a higher level of government, such as the state. There’s more solar energy available in Texas now than before. [Texas’] first solar farm, an array of 215,000 photovoltaic panels that capture sun rays and turn them into power, went on line Thursday in San Antonio. Statewide, at least six more projects are in earlier stages of development. Until the big plants are up and adding electricity to the consumer grid, however, that power remains primarily potential. Tapping it will be controversial as long as solar is expensive relative to energy from other sources, overwhelmingly coal and natural gas. And even if all the projects now on the books get built, they would create a mere sliver of the electricity Texans consume every year. Yet proponents insist solar power has a bright future here, with economic as well as environmental benefits. Electricity generated by solar-photovoltaic technology today costs five times as much to produce as coal-fired energy, according to Bloomberg New Energy Finance. Natural gas is an even cheaper source. Solar is expensive even compared with other renewable sources, especially wind, which is narrowing the price gap with fossil fuels. And the Energy Information Administration predicts that by 2016, photovoltaic power on average will remain more than twice as expensive as wind-generated and more than three times as expensive as coal-fired. Yet state Rep. Mark Strama, D-Austin, contends that renewable energy, particularly solar, “is where the market is headed,” and Texas would be wise to support the fledgling industry. He sponsored legislation in 2009 that would have provided rebates for individuals adding solar panels to their homes and for companies building utility-scale solar plants. First, 2016 is just five years out, so there’s no reason to believe that solar won’t continue to get cheaper in the long run. Technology doesn’t necessarily advance linearly, either. It also may be the case that it’s just going to cost more to generate power down the line. If we were properly pricing the externalities of coal and other greenhouse gas sources, we’d already be thinking of it in more expensive terms. So the sooner we start working on and improving cleaner sources of energy like solar, the better off we’ll be. They will not be building that big solar farm out in Marfa at this time. Citing a lack of investors, Houston-based Tessera Solar has scotched plans to erect at least 1,000 three-story mirrored satellite dishes — designed to convert the blisteringly bright desert sun into electricity — until further notice. The solar project had created a chasm in the community, dividing those who embraced the potential for new jobs and tax revenue and those who worried the silvery sun catchers would blight the barren desert landscape. The construction was part of Tessera’s contract, now defunct, to provide solar power to CPS Energy, which supplies gas and electricity for San Antonio. “There’s no expected construction or completion date until these financial markets strengthen,” says Janette Coates, a Tessera spokeswoman. But she adds the company hasn’t given up on the project altogether. “We still plan on developing it and pursuing it,” she says. And opponents of the project still plan on opposing it. “We’re not going to rest on our laurels,” says Melinda Beeman, an artist whose home is about a half-mile from the proposed site. Beeman, who moved to this desert spot for its tranquil beauty more than a decade ago, led the locals’ revolt against Tessera. As I said before, I don’t know enough about this specific project to know who I’d want to root for. In general, I hope to see more of these solar farms get built, but I also want to see a better system for figuring out where they really belong, and for enabling those who would be directly affected by them to have a voice in the process. Maybe this will be a big step forward. A research team led by [UT chemistry professor Xiaoyang] Zhu, who refers to his Center for Materials Chemistry as the XYZ Lab, has shown that it’s possible to convert much more of the sun’s energy to electricity than conventional solar cells are able to generate. The conventional cells, which are made of silicon, turn no more than about 20 percent of the energy into juice, and their maximum theoretical efficiency is only 31 percent because of technical limitations. By using a compound called lead selenide in the form of quantum dots, also called semiconductor nanocrystals, and by routing electrons stirred up by the sunlight from the lead selenide to another compound called titanium dioxide, the researchers showed that it’s theoretically possible to harvest 66 percent of the energy. To put it another way, the XYZ group has figured out some of the ABCs of a better solar cell. Any commercial application is years in the future because considerably more scientific and engineering work needs to be done. The team’s findings, published recently in the scholarly journal Science, are part of a growing body of research aimed at improving the efficiency — and reducing the cost — of solar cells. The goal is to make solar energy a viable alternative to fossil fuels that contribute to global warming and to dependence on supplies in politically volatile parts of the world. Zhu, who received $490,000 in funding from the U.S. Department of Energy for the project, recently received an additional $630,000 to continue the research. For a bit more than a million bucks we got a potentially revolutionary discovery. Whatever happens from here, that’s a pretty good return on the investment. Imagine what we could accomplish if we were serious about investing in our own future instead of playing stupid budget tricks appease the deficit peacocks. Yes, I’m a bit grumpy about this. A startup solar energy company with corporate backing from India has won tax breaks from the City of Pflugerville and is near a similar agreement with the Elgin school district to build a 60-megawatt solar plant. The plant would be large enough to provide electricity to all the homes in Pflugerville and, if it were built today, would be the largest in the United States. RRE Austin Solar could break ground by the end of the summer on the $230 million plant on 600 or so acres of rural land about a dozen miles east of Pflugerville. The two Indian companies want to do strictly solar farms in the United States, [Angelos Angelou, an Austin-based consultant on the project] said, with a goal of installing enough solar farms across the country in coming years to generate 600 megawatts at any given time, assuming favorable weather conditions. Nationwide, the installed solar photovoltaic capacity in the United States is roughly 90 megawatts, according to the federal Energy Information Administration. There’s a tax break that the startup is seeking from Travis County before it begins construction, which I figure it will probably get. What interested me in this story is that no one was quoted opposing the project. I hope it doesn’t have the same problems that the Marfa solar farm has. A company wants to build a solar power plant in Marfa, and some residents there don’t like it. In what she describes as an all-encompassing obsession, [Malinda] Beeman is fighting to preserve that lifestyle, which she and hundreds of other artists have discovered in the West Texas town of Marfa, by waging war with a company that has plans to erect at least 1,000 three-story mirrored satellite dishes — designed to harness the energy of the blisteringly bright desert sun and turn it into electrical power. Presidio County Judge Jerry Agan and others in this tiny outpost find the opposition from the solar-fighters puzzling. Over the past two decades, creative spirits like Beeman have effectively transformed Marfa from a boarded-up dot on the map into a mecca for writers, painters and sculptors inspired by the desolate landscape. Most of the newcomers are the type you might expect to champion an investment in clean, alternative energy. “It’s astounding to me, because most of the people involved [in the opposition] are pro green power,” Agan says. Tessera Solar, a London-based company with American headquarters in Houston, plans to install the solar power generation site — the first of its kind in Texas — on about 200 acres of land two miles east of Marfa. Power generated there will help keep the lights on and the air conditioning running some 400 miles east in San Antonio. The company plans to break ground on the project later this year. In its first phase, Tessera plans to install 1,080 of the huge mirrored discs — called SunCatchers — that will generate about 27 megawatts of power. CPS Energy, which supplies gas and electricity for San Antonio, will buy the energy from Tessera. Raul Cardenas, manager of renewable energy programs at CPS, says the initial phase will generate enough power for an average of about 4,000 homes. The project could eventually expand to include twice as many SunCatchers and take up some 600 acres, though Tessera says it’s unlikely the project would grow that large. There’s not enough information in the story for me to judge who’s “right”. Frankly, both sides may have valid points, and in the end it’ll be a simple matter of who has more juice. The one thing I do know is that if we’re going to get serious about green energy – and we clearly need to get serious about it – we’re going to see a lot more stories like this for the simple reason that as more wind and solar farms get built, more of them will be built near people who don’t want them as their neighbors. I can’t blame anyone for not wanting this in their back yard, and for all I know there is a better location for this one particular plant. But it’s not about this one plant. We did a lousy job as a society of giving people a say in where old-school, big-pollution power plants were located. We should do a better job of that with the next generation of such plants, without losing sight of the fact that we need to make it as reasonably easy as we can to get them built so we can usher out the old generation. Good luck with that. If the PUC says so. The Public Utility Commission is mulling a shot in the arm to the renewables industry, as it is to energy efficiency. Sometime after a March 31 public workshop, the commission is expected to put forward a formal proposal that could require the state to develop 500 megawatts of non-wind renewables by the end of 2014. That equates to barely 5 percent of the amount of wind capacity already on the Texas grid but represents a leap for technologies that are almost invisible in the state today. “It’s a big number,” says Michael Webber, the associate director at the Center for International Energy and Environmental Policy at the University of Texas. There is less than seven megawatts of solar power in Texas right now, Webber notes. More here. The solar initiatives failed when voter ID derailed everything at the end of the session. The bills had passed in the Senate but never came to a vote in the House as the chubfest ran out the clock to kill voter ID. One hopes that these bills will get another shot in 2011, but with redistricting and the budget mess on the agenda, it’s hard to see how anything else can get enough oxygen. I hope so, but I wouldn’t count on it. This will have to do until then. More from the Statesman and from Forrest Wilder on a related matter. Texas missed out in the last legislative session on a chance to take a big step forward with solar energy, but there are still some things that can be done to keep moving in that direction. Texas already leads the nation in producing wind power, and given its sunny climate, scientists say it has the capacity to dominate solar, too. To help make that happen, solar advocates are urging the Texas Public Utility Commission to set solar usage requirements for electric retailers. “We actually are a perfect environment, economically and thermodynamically, as a raw resource for solar, but it hasn’t taken off,” said Michael E. Webber, an assistant professor of mechanical engineering at the University of Texas. “However, I think it’s about to,” said Webber, who is also associate director of UT’s Center for International Energy and Environmental Policy. The PUC, an agency run by three gubernatorial appointees, is considering a plan to give solar power the same kind of boost that the state gave to wind power in 1999. The Legislature first told the PUC to boost solar power and other nonwind renewable energy sources in 2005, and the agency is now taking steps to implement those instructions. Texas has done well in getting wind energy going, and its renewable energy standards are at the forefront nationwide. 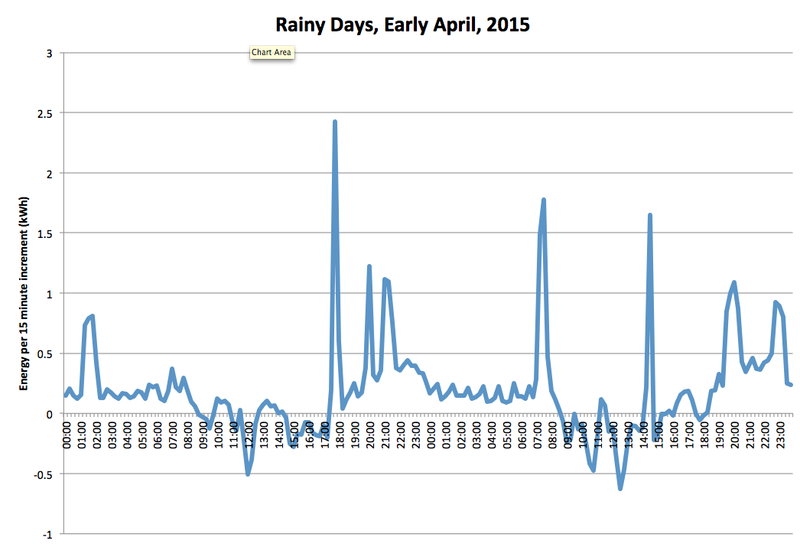 But it does seem strange that we haven’t done more to develop solar energy. Encouraging the utilities to do more is fine, though it will be limited by the lack of a robust transmission network in the same way wind energy has been, but there are other approaches, too. Making it easier for individual homeowners to install solar panels could also accomplish a lot. That was one of the things that the major piece of solar energy-related legislation was supposed to do, but it died in the end. Unfortunately, I fear that the budget situation is going to make a similar bill impossible to pass in 2011, but I hope someone tries anyway. The longer we wait, the farther behind we fall. Denying climate change and the adverse effects of carbon dioxide may be official policy of our Republican leaders, but word has apparently not filtered down to the business entrepreneurs whose capitalistic opportunism those Republicans usually lionize. “Energy is the biggest opportunity Silicon Valley has ever seen,” declared T.J. Rodgers, the founder of Cypress Semiconductor and chairman of SunPower, a leading maker of photovoltaic panels to produce solar energy. How big? Consider that the sum of America’s yearly utility bills, one component of the nation’s overall energy costs, exceeds $1 trillion — or nearly triple the annual global revenues of the semiconductor industry. The solar and wind energy markets, which totaled about $80 billion in 2008, are projected to nearly triple in size in 10 years, employing 2.6 million people worldwide, according to Clean Edge, a cleantech research group. Leading venture capitalist John Doerr of Kleiner, Perkins, Caufield & Byers muses that Silicon Valley may someday be called Solar Valley, given that dozens of solar companies that have sprung up here in recent years. But solar represents just one aspect of the cleantech revolution. Around the valley, some former e-commerce and software mavens are now busy trying to electrify the automobile industry while other techies are developing energy-efficient glass, drywall and cement. Still others are introducing cutting-edge information technology to the 20th-century electricity grid, working on biofuels and fuel cells, and pioneering new methods to recycle waste, protect air and water quality and enhance agriculture and aquaculture. The payoff: progress toward a “low-carbon economy,” thousands of new jobs in the valley — and perhaps a new set of corporate titans. I sure hope their optimism is well placed, because at this point they may be the only hope we’ve got for any real action on climate change. Back in September, I noted a deal that the City of Houston was working on with a firm called NRG to build a solar plant that would supply some of the city’s power needs. This deal has apparently hit a snag because it is a 25-year deal. The city generally doesn’t commit future taxpayer funds without some sort of oversight and approval, however, said spokesman Frank Michel. Future elected leaders don’t necessarily like being forced to pay for past administration’s decision should they go bad, so the city usually has a clause in long-term agreements that says they have to be reapproved on a year-by-year basis. But NRG isn’t so comfortable with that uncertainty. “NRG is unable to finance this project without the certainty of future payments under a power purchase agreement,” said NRG spokesman David Knox in an e-mail. In other words (not Knox’s) no company wants to build a $40 million project with just a single-year’s payment guaranteed. Both sides say they want to do the project with each other, but this disagreement appears to be pretty fundamental to both sides. Bummer. I hope they can work it out, but we’ll see. 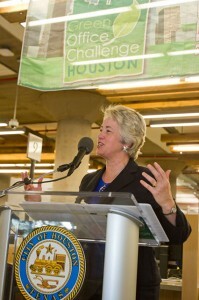 The city of Houston will go solar for some of its energy needs. Under a 25-year proposed agreement being announced today, the city of Houston will buy power for its buildings from the plant, which will be the largest solar plant in Texas when it’s completed in July. Its 10-megawatt capacity — which will be online only during daylight hours — will provide up to 1.5 percent of the city government’s power needs. NRG, which won the contract to build the plant through a bidding process, will front the $40 million to build the plant on 70 acres of land at the site of the existing T.H. Wharton power plant near Texas 249 and North Beltway 8. The plant will use thin-film photovoltaic solar panels manufactured by First Solar Inc. The city will pay 8.2 cents per kilowatt hour for the first year of the contract, but that can change over time and will be based on a combination of factors. For example, the contract prices solar power at 19.8 cents per kilowatt hour, but what the city pays will incorporate lower-price natural gas power when the sun isn’t shining. CPS Energy, San Antonio’s municipally owned utility, signed a deal this summer for a 14 MW solar plant to be finished by the end of next year. Austin Energy signed a deal with a solar power plant developer this month to build a 30 megawatt plant. That facility should be up by December 2010 , a spokesman said. And Southern California Edison is planning two large solar projects with a combined 550 MW outside of Los Angeles for startup in 2015. But the projects are not without controversy. Solar-generated power costs more than other kinds despite the free fuel source. In Austin some businesses and residents expressed concern over estimates that getting more power from renewables, including wind and solar, could increase bills by 22 percent by 2020. As solar technology improves, however, building-integrated solar installations will make more and more sense in the Southwest, because they can provide a big additional spike of energy right when our energy demand is spiking – when it gets really hot in the summer. These systems are much cheaper if their purpose is only to absorb the afternoon demand spike – no batteries are needed for that. Right now the biggest thing holding back solar tech is the cost of the cells. As that cost goes down it will quickly become practical for businesses to amortize the capital cost of the solar cells in the construction of their buildings, and then be protected from the huge energy bills we all pay in the summer months. 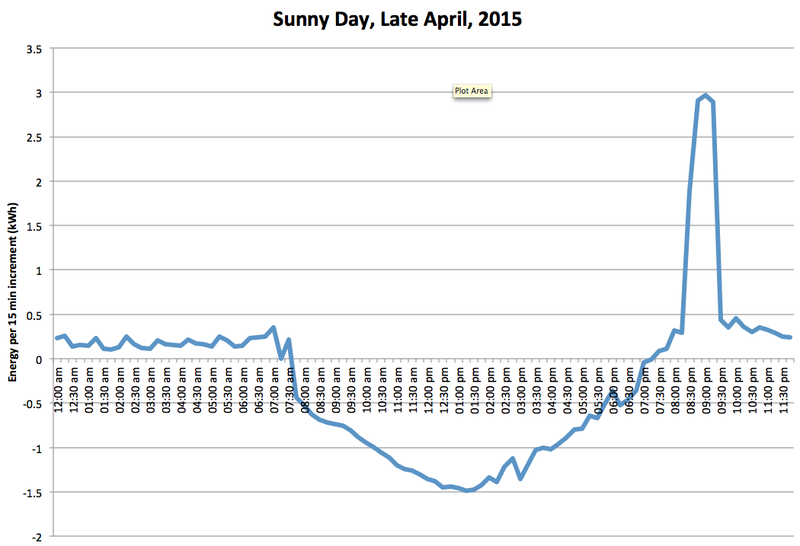 This is the great thing about distributed solar. If we use it right it provides extra boosts of power when they’re needed most. This means we can run a more fuel efficient central plant with less total capacity required. The reduction in energy demand spikes would also help stabilize fuel prices, which benefits everyone. That, to me, is the most concrete long-term justification for solar investment. The sooner we can truly stabilize our energy supply, the better of we’ll all be. 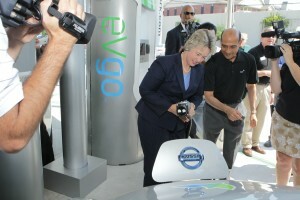 Recall also that the city of Houston can make it easier for people to install solar cells in their homes. Matt Yglesias also notes that Germany, not exactly someplace one associates with sunshine, is a leading user of solar energy. We can do more, and over time we will need to do more. No time like now to get started. Completing our trifecta of Mayoral policy examinations, we come now to Peter Brown’s energy plan. As with other policy matters, Brown goes into more detail than the others – David Ortez recently wrote that Brown is “winning the policy campaign”, and I think that’s a fair assessment. I’m just going to comment on a couple of points in Brown’s plan, which you should read in full for yourself. When Houston residents pay for something, it better be delivered. As Mayor, Peter Brown will stand up to local utility companies, demanding that they adhere to existing contractual obligations under the terms of their current franchise. Utility companies should be responsible for demonstrating compliance with the maintenance, grid-hardening, and energy-efficient investments they’re supposed to be making. No more double billing, no more corporate bailouts. Peter Brown will make sure we get what we pay for, and don’t have to pay for it twice. One thing I find myself asking over and over again as I look over various policy statements from candidates is “How much of this is something they can do themselves, and how much would require coordination with or the cooperation of some other governmental entity?” I’m really not sure how to answer this question here, though my impression is that this is more of a state issue than a municipal one. And as always with these policy papers, it’s about the what they want to do and not the how they plan to do it, so there’s no help there. I feel confident that this is something that can be made an issue and a prioirity by Houston’s Mayor, and there probably are some things that could be accomplished by fiat or city ordinance, but more than that I couldn’t say. Still, even if everything Brown proposes here requires the Lege or a state regulatory agency to accomplish, a Mayor Brown can still bring attention to these issues, and can pledge to work with or put pressure on whoever can get them done. Which suggests to me that how effective a Mayor may be in getting other elected officials or agencies to do things he or she wants to do is something that perhaps ought to be given more priority in how we decide who to elect. Perhaps the endorsements that a Mayoral candidate gets from other elected officials is a possible indicator of this, and should be given some weight as a means to guide one’s voting decision. Just a thought. As it is, we pay too much. Electricity in Austin and San Antonio is nearly half the price of ours. The City should use its leverage and drive a harder bargain, protecting Houston consumers and getting them a better deal. And we should explore creative ways to lower monthly electric bills, like an opt-in program that would allow residents – especially seniors and those on low or fixed incomes – to buy their electricity from the City and enjoy the discounted bulk rates the City already receives. What makes the Texas experiment with deregulation especially interesting is that a “control group” has survived—the municipal utilities and rural electric cooperatives. Nobody disputes that higher electric rates are partly due to the near-tripling in cost of natural gas, the fuel for 46 percent of Texas power generation. But the rates of still-regulated city-owned utilities and electric cooperatives, which also use natural gas power plants, are substantially cheaper almost across the board. A ratepayer in Austin—who must buy power from the city-owned Austin Energy—spends a little less than $95 each month for 1,000 kwh of electricity. In San Antonio, it’s about $72. Austin and San Antonio have the advantage of owning their own power plants, but the statewide average bill for customers served by municipally owned utilities is a little over $100 and is $97 for cooperatives, according to the PUC. The cheapest service plan—one negotiated by the City of Houston—in the entire deregulated market is about 35 percent more expensive. What accounts for this difference? “[T]he energy being sold in the deregulated service areas didn’t cost any more to produce than in the regulated areas,” says Biedrzycki of Texas ROSE. “The difference is in the way the pricing is established.” In the deregulated market, economists and industry experts say, expensive natural gas-fueled plants generally act on the “margin” to set the wholesale price that retail power companies must pay for all power generation. Even though it’s currently much less expensive to create electricity from coal and nuclear generators, costly natural gas plants control the market price. “[O]wners of nuclear and coal plants have no incentive to charge anything less than the gas-based market price [to retailers],” as the Association of Electric Companies of Texas explained in a presentation to lawmakers recently. Again, one wonders what the Mayor can do on his or her own about this, and what would require legislative intervention. Regardless, one presumes that Brown or any of the other candidates would prefer not to rely on coal-fired plants to get a better deal for Houston consumers. Brown does talk about making a bigger investment in renewable energy in his plan. I hope we’ll see something like this as part of it. Peter Brown will use the latest technologies to allow residents to instantly alert the City of poorly maintained infrastructure – including downed lines and poor maintenance – to keep our grid working and electricity flowing. Streamlined notification processes using smartphone applications enable quick and easy reporting to city departments, allowing residents to quickly collect and share photographic evidence of disrepair or neglect. We can also connect with residents via their existing social networks like Facebook and Twitter to enhance communication between residents and City departments. I highlight this to show Brown’s commitment to better service through smartphones. Of which I definitely approve. Overall, I like Brown’s ideas, and think that more attention should be paid to stuff like this. For all the talk we always get about “finding efficiencies” in government, this is exactly the sort of place that we should be looking for them. Of course, some of these things require an up-front investment, which may not pay off within the six years of a Mayor’s term in office. That doesn’t mean they’re not wise or necessary, but it does tend to warp the political dynamic of implementing them. That wraps up this week’s look at Mayoral policy positions. I’m sure we’ll get more of these as we pass the tradiational Labor Day start of the campaign season. I’ll do my best to do more of these analyses as we do get them. Let me know what you think. One of the major obstacles preventing many homeowners from installing solar panels on their roofs is, well, it’s expensive. At least in the short term. True, the panels may pay for themselves over the course of several years, especially if they reduce the amount of electricity you need to buy from the utility (or, much rarer, if you can sell excess power back to the grid). But the upfront costs can be formidable for many people. Yes, Texas – HB1937, which passed the House by an 87-51 margin and the Senate 30-1. The text of the bill indicates that the state has given municipalities the authority to do this, the technical details of which are summarized here. “Property tax financing” allows property owners to borrow money to pay for energy improvements. The amount borrowed is repaid through an increased property tax assessment over a period of years. Texas enacted legislation in May 2009 that authorizes municipalities to offer property tax financing for energy improvements. Contact your city or town to find out if financing is available for renewable energy and/or energy efficiency through special property tax assessments. A plan for raising the capital required to pay for work performed, which could include amounts to be advanced by the municipality, the sale of bonds, any reserve funds, and the costs incidental to financing, administration, and collection of the contractual assessment program. An assessment imposed, interest or penalties on the assessment constitute a lien against the lot until the assessment, interest or penalty is paid. The law doesn’t take effect till September, and it’s not at all clear to me how one would go about pursuing this. I’m not even sure who in, say, the city of Houston one would contact to inquire about it. I may ask around and see what I can learn. In the meantime, if you have any knowledge of how this would work, please leave a comment. Thanks to Kevin Drum for the link. Solar on the special agenda? State Sen. Troy Fraser, R-Horseshoe Bay, said Tuesday that he’s put in a request for several measures, including a bill to improve accountability at member-owned utilities, to be part of an upcoming special legislative session. Fraser said he understands the governor’s office is hoping for a quick “get-in, get-out” special session of about three days to push through sunset bills to keep several key state agencies operating. But the special session could go beyond that plan. [M]embers are submitting requests in the case the call is expanded, especially in light of the chubbing at the end of the session that killed several measures. Among those, the co-op bill and a solar energy initiative bill could be on the list, he said. “Yes, I have made the request,” Fraser said Tuesday. On the one hand, I’d love to see these measures, which had passed without major opposition – SB545, the solar bill, passed the Senate on a 25-5 vote, and was passed out of the House committee on a 7-1 vote – get another chance. As Citizen Sarah notes, this may be our last chance to keep Texas from losing out on big opportunities in the solar market to other states. On the other hand, the farther away we get from the original, announced concept of a “get in, get out” session, the more likely that crap like voter ID will be resurrected. I don’t know how to evaluate that possibility right now, but I’m wary of it.